Looking for a Glazier in Leyton E17 or across East London? 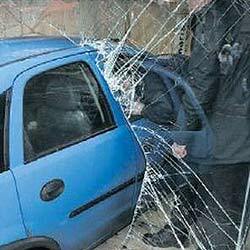 Have you had your windows smashed at home in Leyton E17 or have you arrived at work to find your shopfront smashed in East London? Our Police Certified Premier Glazing Services in Leyton E17, London, cover various crime scenes including burglaries and break-ins on a daily basis. We provide London glass and glazing services in East London to homes suffering from burglaries and also to various commercial clients looking for a reliable regular glazier to attend in Leyton E17 or throughout London when required. Our commercial 24 hour glazing service is made available in Leyton E17 24 hours a day and 7 days a week throughout East London and London. Our professional London glaziers have extensive experience in dealing with all glass types which is supplied and installed, including toughened glass, laminated glass and safety glass to properties in Leyton E17 and throughout East London. 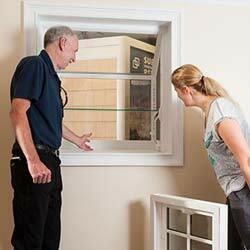 Eligible for a Double Glazing Grant in Leyton E17 or across East London? We will advise you about double glazing grants from local London councils including that of Leyton E17 and across East London. If you are interested to know more just call us FREE on 0800 689 4102 & receive FREE expert guidance for double glazing grants in Leyton E17. We will also show you everything you need to know about double glazing costs and pricing models according to your requirements in Leyton E17 and throughout East London. Need a 24Hr Emergency Glazier in Leyton E17 or across East London? Premier Security has dedicated over 60 years to working as 24 hour emergency glaziers in Leyton E17 & throughout East London. Our team of professional glaziers is renowned for delivering a fast-response 24 hour Leyton E17 glazing service available 7 days a week throughout East London. We work with all types of glass, glazing, window replacement and mirrors making us one of the Premier Leyton E17 emergency glazier companies in East London and throughout London. Call us now to speak to our team of professional London emergency glaziers operating in Leyton E17 and throughout East London. 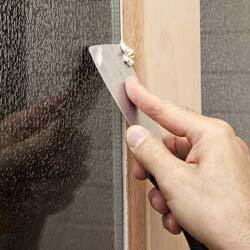 Our window repair and replacement services come complete with a range of window lock services including lock fitting, window lock installation, window lock picking and entry, window lock manipulation and window lock upgrades in Leyton E17 and throughout East London. We also service glass doors for commercial and residential properties including conservatories, roof options and skylights at homes in Leyton E17 and throughout East London. It is worth mentioning as well that if you need a dog or cat flap repaired or replaced in Leyton E17 for your fluffy friends just call Premier Security and we will arrive fully-equipped in just under 30 minutes at your home in East London or anywhere throughout London! Our team of professional glaziers in Leyton E17 has experience in burglary damage repairs throughout East London including, but not limited to, broken windows, smashed glass panes and smashed doors at homes and work premises throughout in East London. We have built an outstanding reputation amongst a number of homes and local businesses in Leyton E17 for our fast local emergency glazing repairs and emergency boarding up services. You can rely on our London glaziers to provide window repair and replacement services in Leyton E17 and throughout East London during your time of need. No job is too large for our team of 24 hour glaziers in Leyton E17 and we guarantee to arrive anywhere in East London within 30 minutes of your call. We have a record of building long-term professional relationships with London businesses in East London and throughout Greater London. All glass is supplied and installed for glass doors or broken shopfronts in Leyton E17 and you also get the option to choose from a range of clear, opaque and patterned glass types. We can also take care of door panel replacement, full shopfront replacements and glass shop front repair and replacements in Leyton E17 and throughout East London. We repair & install double glazed windows, UPVC sliding doors and windows, conservatories, patio doors as well as repairing or fitting window security locks and other features that make up your glass windows and doors in Leyton E17 and throughout East London. We offer a bespoke secondary double glazing service across East London and can provide glazing; even if you are just having a new pane of glass installed at your home or commercial premises in Leyton E17 or throughout East London, we can help you all the way through the glass buying and glass door or window installation process in East London and throughout London. Window Broken or Shopfront Smashed beyond Repair in Leyton E17 or across East London? If you think an Leyton E17 window replacement is required; we can provide the replacement of safety or toughened glass, single and double glazed anywhere throughout East London. We also guarantee a fast 30 minute response for emergency window replacement, 24 hours a day, 7 days a week in Leyton E17 and throughout East London. We replace smashed shopfronts and broken windows for bars, shops, offices, schools and homes in Leyton E17 and our team of 24hr glaziers are available to assist you during your time of need. Other services in Leyton E17 include shop front boarding, repairs, replacements and installations throughout East London. Premier Security will provide same day window replacements in Leyton E17 or throughout East London the majority of times, but sometimes it is just not possible and other arrangements need to be made as your property is most vulnerable to further attack at this crucial stage. We have got it covered! Premier Security is a Police Certified company offering a 24hr boarding-up service and burglary repairs in East London and throughout London. We have built our reputation in Leyton E17 and throughout East London based on trust and customer care. We will continue to grow steadily in all types of security and glazing work including window repair, replacement window installation, smashed shopfront repair and shop front replacement in Leyton E17 and throughout East London. We believe in the prevention of crime and specialise in the installation of burglar alarm systems and other preventative security measures including boarding-up vacant properties in Leyton E17 to prevent squatters and break-ins happening throughout East London. Need a Local Glazier in Leyton E17 or across East London? Feel free to contact us wherever you are in East London or throughout London. If you are looking for a home security upgrade or just a "glazier Leyton E17" you can book a FREE consultation with one of our expert glaziers in Leyton E17. We will continue to grow steadily in all types of security and locksmith work including lock repair, lock installation and precision key-cutting in Leyton E17 and throughout East London. 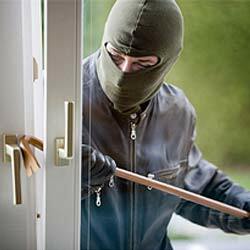 Premier Burglary Repair Services in Leyton E17 include window and door boarding up services across East London and throughout London. Premier Security 24 hour emergency Leyton E17 boarding up services available 7 days a week for burglary repairs and break-ins in East London. Our 24hr London commercial boarding up service is renowned for delivering a fast-response to crime scenes and can carry out expert boarding up to ensure vacant property protection from opportunist squatters circling Leyton E17 and around East London. Need a 24 Hour Boarding Up Service in Leyton E17 & across East London? Premier Security provides a fast-response 24 hour emergency board-up service for homes and commercial premises in Leyton E17 and throughout East London. We are a Metropolitan Police Certified business based in Kensington, London, but we can be with you in 30 minutes to secure your property anywhere in Leyton E17 or throughout East London. We provide quality timber boards during your time of need; regardless of whether you have fallen victim to burglary or have a vacant property that needs boarding up. Take the necessary precautions to avoid future dealings with opportunist squatters circling East London. We provide bi-fold door and patio door repairs and replacements for homes and commercial premises in Leyton E17 and throughout East London. In cases where a same day replacement cannot be carried out we will secure your property with quality timber boarding up service in Leyton E17 and you can choose whether to have access points on either side of the damaged door frame or broken window. You can rely on us to provide expertise in glass replacements, glass and upvc windows and doors and also Upvc window and door locks at your home or workplace in Leyton E17 or throughout East London. We are a Metropolitan Police Certified locksmith business in Leyton E17 and have built our reputation throughout East London based on trust and customer care. We will continue to grow steadily in all types of security and locksmith work including board up services, vacant Leyton E17 property protection from squatters in East London and 24 hour commercial boarding-up services for burglaries and break-ins in Leyton E17 and throughout East London. Our local Leyton E17 boarding-up service is commonly relied upon by private clients, insurance companies and the police throughout East London. We use a selection of the finest tools, materials and equipment, and always manage our stock efficiently to ensure no delays take place when required to provide emergency support to homes and commercial properties in Leyton E17 and across East London. You can choose between boards with or without access points and you can decide whether we secure the boards from the inside or outside of your property in Leyton E17. Do you own a vacant commercial property in Leyton E17 or throughout East London? It is heavily advised that you do not leave your commercial London property in Leyton E17 unprotected if you wish to maintain your insurance cover. To board up the doors and windows of a vacant property is often required to ensure no complication regarding opportunist squatters, arsonists, vandals and anybody else that poses a risk to your investments situated in Leyton E17 or anywhere throughout East London and London. We have experience working with pub owners, nightclub owners, shop owners, landlords and other commercial property owners in Leyton E17 and throughout East London who understand the importance of protecting your property. 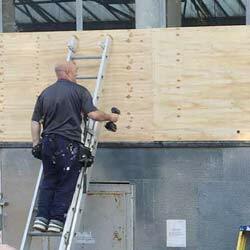 Premier Security provides quality timber boards in Leyton E17 and throughout East London during your time of need. Often the need for a boarding-up service is required as a result of a break-in, burglary or even a broken window anywhere in East London so you can rest assured knowing that we will treat your call as a matter of urgency and arrive within 30 minutes of your call ending. Our 24 Hour emergency boarding-up experts in Leyton E17 and throughout East London will respond and attend day or night at your home or at work in Leyton E17. Need a 24Hr Local Board Up Service in Leyton E17 or across East London? Feel free to contact us wherever you are in East London or throughout London. If you are looking for a home security upgrade or just a "boarding-up company Leyton E17" you can book a FREE consultation with one of our experts in Leyton E17. 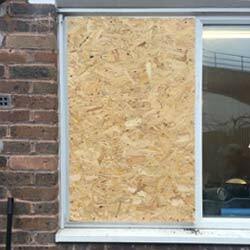 Boarding Up is often required after a break-in or burglary has taken place and is used to secure a property while a window or door replacement is being sourced. Boarding Up is also recommended to London property owners and landlords that own a vacant property in Leyton E17 or anywhere throughout East London as a preventative measure for deterring squatters and vandalisms. Premier Security London 24 hour carpenters are available 7 days a week to board up your property and provide a same day glass or window replacement service to homes and business premises throughout East London and London. Are you looking for a professional temporary or permanent boarding up service in Leyton E17? 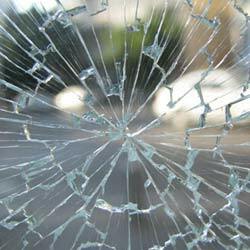 We board up broken doors, smashed windows, broken glass and will even source and install glass replacements and door replacements at your residential or commercial property in Leyton E17 and throughout East London. Get in touch for more information on our commercial emergency boarding up service and we will arrive in under 30 minutes to board up your shop front or secure your property after a break-in. We are a Metropolitan Police Certified locksmith service in Leyton E17 and operate all across East London and London. Are you looking for a reliable Leyton E17 burglary repair specialist to come and secure your property in Leyton E17 or anywhere throughout East London? Make Premier Security your first call and we will pay you a visit at your home or commercial premises anywhere in Leyton E17 and throughout East London and London. Our aim is to provide you the best possible burglary repair service available 24/7 in Leyton E17 and throughout East London. Each installation is carried out by our own fully insured personal fitters and we can provide expert guidance relating to burglar alarm repair and installation in Leyton E17 and throughout East London. In a large majority of burglaries access is gained via the front door. The police and insurance companies are continually encouraging the public to protect themselves, their homes in Leyton E17 and businesses throughout East London. Premier Security helps to deter crime and prevent opportunist and professional thieves circling East London and around London. Home Been Burgled Leyton E17 or across East London? Have you returned home in Leyton E17 to find broken windows or a broken door? We understand the urgency of making your property secure again so please don’t hesitate to call us FREE now on 0800 689 4102. We will send a reliable and trustworthy Leyton E17 locksmith direct to your home in East London; fully-equipped to ensure your safety and the safety of your property in Leyton E17. Break-In at Work Leyton E17 or across East London? For over 60 years we have dedicated a lot of time and energy into delivering a 24hr locksmith service to shop burglaries and break-ins taking place in East London and throughout London and the South West. 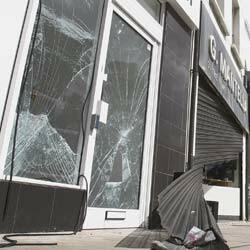 We are often called out for smashed shopfronts, broken windows, doors and other burglary repairs including smashed glass office doors or nightclub entrances in Leyton E17 and throughout East London. You can count on us to arrive within 30 minutes and secure your property to an excellent standard in Leyton E17. Need a 24Hr Local London Burglary Repair Service Leyton E17 & across East London? Feel free to contact us wherever you are in East London or throughout London. If you are looking for a home security upgrade or a fast-response ‘burglary repair service Leyton E17" you can book a FREE consultation with one of our experts in Leyton E17 for anywhere throughout East London and London. Need a 24Hr London Locksmith Service Leyton E17 & across East London? 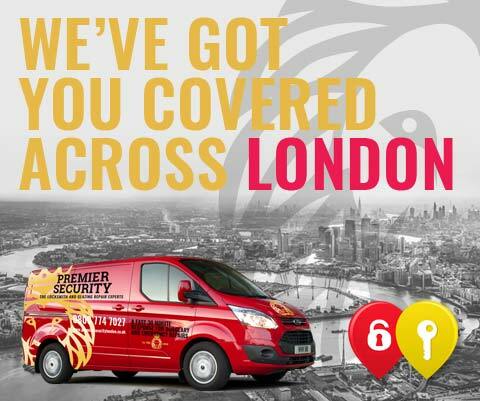 Premier Security London is a team of fully qualified and insured Leyton E17 locksmith service which provide 24hr emergency London locksmiths to arrive with you in Leyton E17 or anywhere throughout East London within 30 minutes of your call being made. We offer a full range of 24hr locksmith services to homes and commercial buildings in Leyton E17 including shops, offices and nightclubs across East London. We offer guarantees on all London key-cutting services, key extraction, rekeying locks, key manipulation and a reliable Leyton E17 commercial locksmith service specialising in lock repair, lock replacement, lock upgrades and lock installations carried out at your London commercial space in Leyton E17 and the whole of East London. Need a door repaired or replaced Leyton E17 or across East London? Are you looking for a locksmith in Leyton E17 to repair your broken door or do you think a full door replacement is required? Either way Premier Security can help you anywhere throughout Leyton E17 and across London. Our team of qualified and experienced locksmiths in East London can be with you anywhere in Leyton E17 in under 30 minutes to deliver a high quality door repair service including emergency door repairs and door replacement in Leyton E17 and throughout East London. Not only will we carry out a full door installation, we will also repair where possible and replace where required at your home or work premises in Leyton E17 or throughout East London. Premier Security London glass door services include repair and replacement of Upvc door glass, Aluminium door glass and Timber door glass in Leyton E17 and throughout East London. We can handle any type of glass door at your residential or commercial property including, but not limited to, single glazed doors, double glazed doors, sliding glass doors, commercial glass doors, storefront doors, glass shower doors, bi fold doors and so many more. Our team of qualified and experienced glaziers in Leyton E17 operate 7 days a week throughout East London and guarantee a fastresponse to any emergency situation in or around London.